1 full day. Prado Museum -Toledo Nothing is the same as it used to be', we nostalgics say when we remember the good old days. However, there are many things that are better now. For example, our private '2 Hits in 1 Day' tour. The Royal Palace of Madrid is at the same site as the Umayyad Fortress. 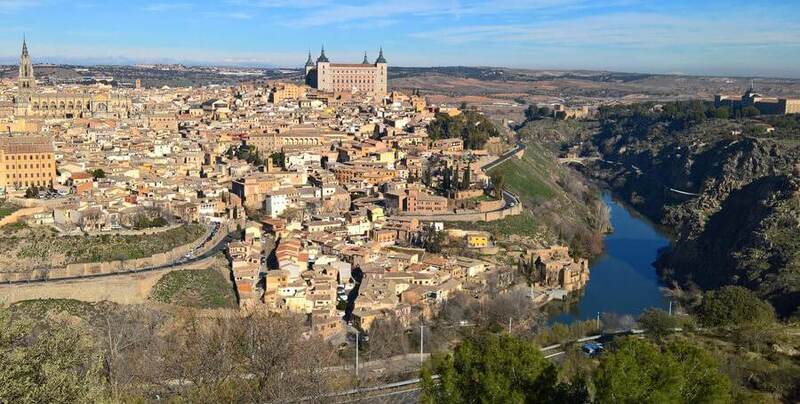 This Fort was erected at the end of the 9th century, to defend Toledo. The first Bourbon King of Spain, Philip V. ordered to built The Royal Palace of Madrid. It has beautiful Ionic columns and Doric pilasters. Made with limestone of Colmenar de Oreja . Its base is of grey granite from the Sierra de Guadarrama. Its 2800 rooms, finished in only 17 years. Haven’t been in Madrid yet, but planning to visit it? The best way to get anywhere in Madrid’s downtown is to walk. Madrid streets and buildings are witnesses of exciting stories of all kind and time. Ready for walking tours in Madrid? This post has many things you need to know to make your first visit to Madrid an unforgettable experience! Where can I go on a walking tour in Madrid? We can say that the Prado Museum holds many secrets in each and every one of its rooms. Each painting is spectacular and intriguing; let your imagination fly just by looking at it. The question is which the most intriguing paintings in the Prado Museum are. Although each and every one of them is special, both for its artistic and its style, one could say that there are a series of works that are more intriguing than others, either because of their dark shades or because of the legends that have been commented on. Have you ever thought about visiting the city of Madrid? Have you ever wondered what to see in Madrid? Well, if you have the idea of visiting the city, and you don't know very well which secrets are going to shelter its streets, you are in the right place so that you can know a little better what to do in Madrid. There is a lot of places to visit in Madrid that will take your breath away and make you enjoy the city. And below we will describe some tourist spots in Madrid, famous and less famous, that tourists should not miss. Keep on reading!